This must be the 2249 passenger car engine ? I had once a 1929 firetruck, partly GB and partly DB. No doubt built during Chrysler's decision to abandon the Graham reference due to the Graham brothers now building a competitive car. 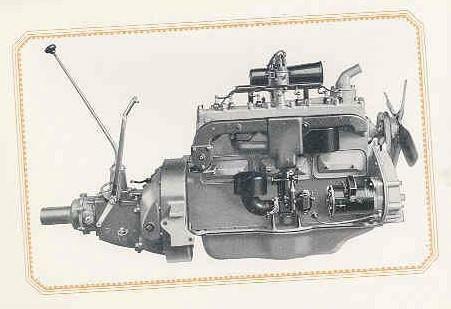 However, the Senior engine, now built by Dodge in-house, had a GB before the serial number. It was different from the car engine in that it had a dual updraft manifold to suit the dual updraft Zenith carburetor and a serious high-output North East generator. It also had no heat valve built into the manifold. The bore should be 3.395 for GB, 3.375 for Seniors, according to Confidential memos, but my truck engine had the 3.375 bore. So...??? do you recall the wheelbase and model for the fire truck you used to own? 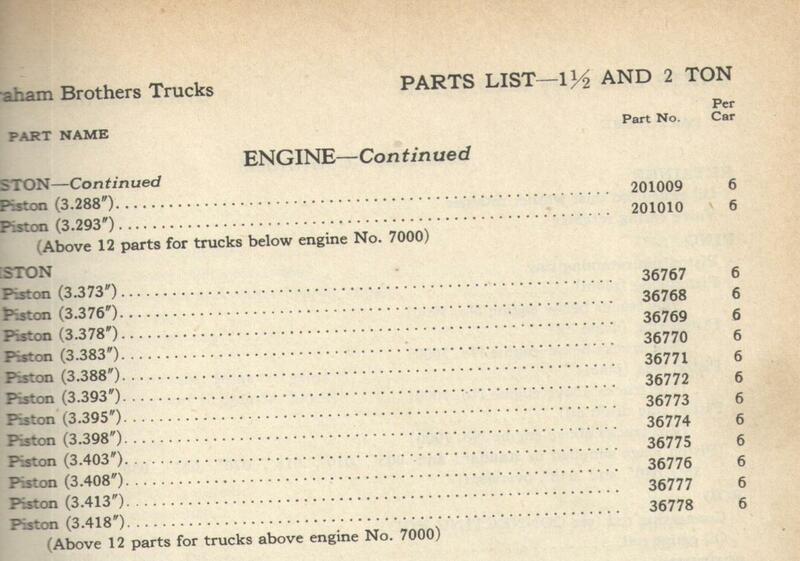 To date we have no current owners of D series trucks recorded in the database. The only D series was copied from the eBay auction previously mentioned. That truck may have been crushed by now but I saved the information for historical purposes in the timeline. Also, if anyone has run across any of these models in literature that discusses wheelbase, frame #'s or serial #'s that will also be helpful to have in the database even if the vehicle has no owner or may not be in existence any longer it will give us data points that help answer questions..
Do any of you car guys have a passenger car MPB that I can ask a question of ? In regards to Cylinder head gaskets for Senior Six's, part # 200316, do you show that part # "UP TO" engine IS-21,189 or anything close to that engine number ? 30 DP, the AACA library shows several parts books for Senior Sixes in the online catalog. One is even already digitized. You could probably get it on a disc for a couple bucks with a credit card. "Forgive me for my ignorance on this topic but at what plant were the Senior cars produced ? I cannot find the answers in my research on Seniors... I must simply be skipping over it somehow.. "
Apparently Dodge Brothers built a separate plant for the 1st series Dodge Brothers Senior Six (2249). It was located on Lynch Road and Mt. Elliot Street. DB had purchased a large block of land and in 1917 built a plant at the east end of the site on Lynch Road to built armaments for France (it was WW I). That plant became the Graham Brothers Truck plant in 1924, and was used for Graham Brothers and then Dodge Trucks (January 1, 1929) until the Warren Truck plant opened in 1938. The plant was closed a few years back - the Detroit Axle plant. The Senior Six car plant on the west side of the site was used through to sometime around or after Chrysler acquired Dodge Brothers. Production was moved to the main Hamtramck plant. With that Chrysler began plans to expand the plant. When the expansion was completed in early 1929, the plant put out Plymouth cars, shifting production from the old Maxwell facilities in Highland Park. The Plymouth Lynch Road plant was used through 1981, building the R body models for 1979-81. The plant still stands, but not cars roll out the doors. 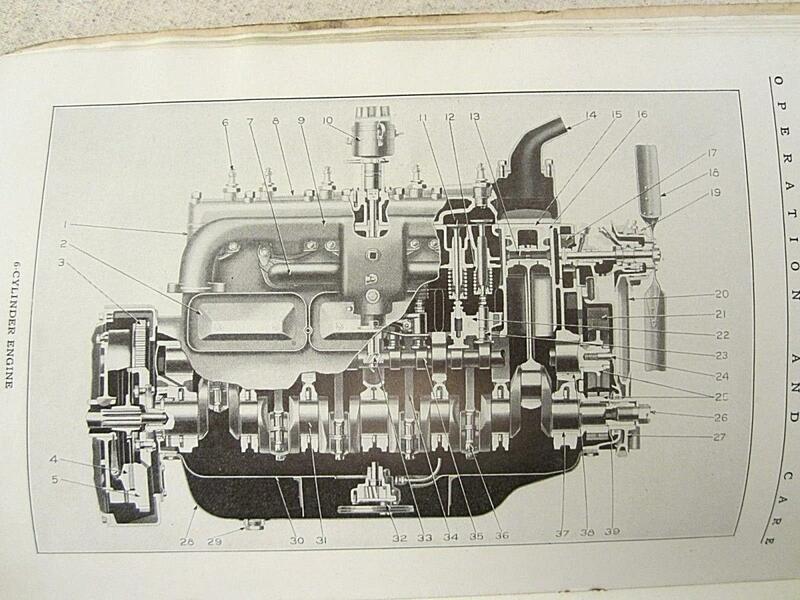 In this same book it shows the Dodge Senior Six but mentions the maker of the engine as "own", suggesting Dodge Brothers were the ones who made the engine. Later I did find a truck manufacturer by the name of Guilder that had a truck with 160" wb that used this same Continental 8R engine that was supposedly used for car applications as previously mentioned but here we find it in a truck application. So it sounds like Continental had produced several different engines at the time for various applications for cars as well as trucks, buses and tractor applications that were being counted with the automobile figures.. I'm counting a total of 24 different Continental engines that were produced for the automobile industry but keep in mind this isn't counting the various industrial or airplane engines that would have also been produced, that would be a separate count. 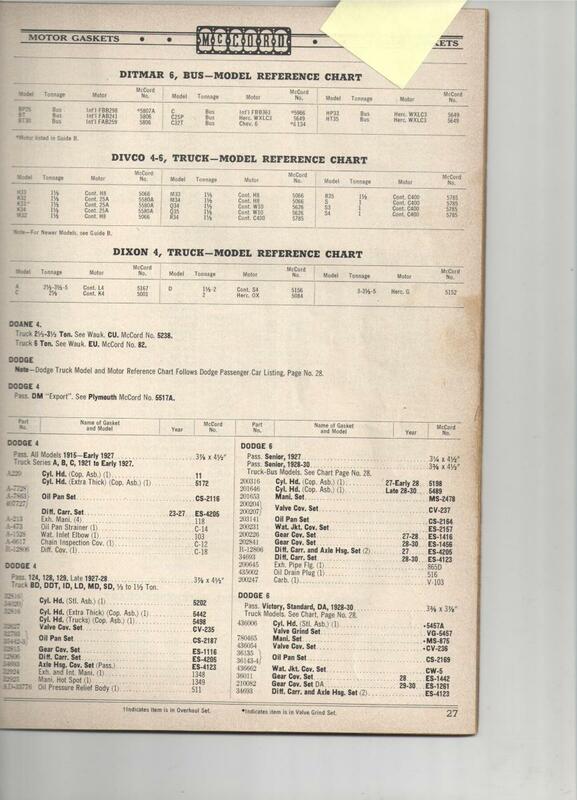 According to this information it is evident that Continental engines would have been used across different platforms and makers so it does seem possible that Continental may have "produced" a engine but with a "Dodge Brothers design". I would say more literature is needed for further proof, just to be completely sure. I don't have any photos or factory literature showing the design of the Senior Six engines. Can someone provide pics of the different variations of the Senior Six engines (2249, 2251 and 2252) so we can compare them with any Continental literature that may be presented ? Actually, that's how Continental Engine got as big as it it did - building engines for other car companies, either to the customer's designs, or using a Continental design. And many auto companies listed the engines built by Continental as "Own". The first was Hudson, building Hudson-designed engines for Hudson. 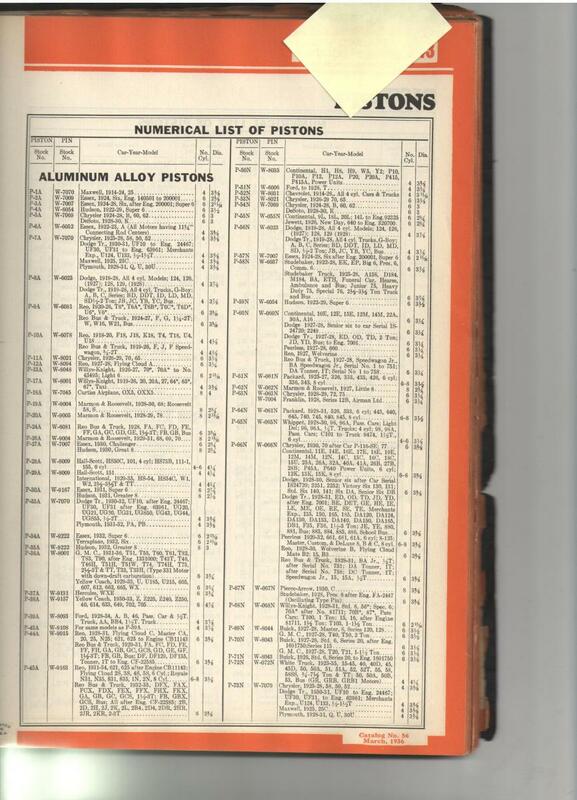 Hudson built their assembly plant on the north side of East Jefferson two block east of the Chalmers plant which was located on the south side of East Jefferson. Continental built their Detroit plant just east of the Hudson plant. Other manufacturers using Continental were - DeVaux, Durant, Erskine, Flint, Frazer, Graham, Kaiser, and Willys. By the way, the Dodge Senior Six engine was not assigned an engine number as it was not a Continental design. So, the 8-R may have been a similar sized Continental design, but the Dodge Senior Six was not 8R. Continental supplied engines to over one hundred makes in North America and over 60 four, six and eight cylinder engines for the first six decades of 1900's. So, yes, Dodge Brothers could have had Continental Engine build the Dodge Brothers designed Senior Six engine for them, just as Hudson and Graham had Continental build engines their firms designed. According to DBC article the trucks had a different manifold for the cross flanged Zenith carb (note part 101 from the MPB ). Since no one has come forward with a D series truck with a Senior Six engine that I have seen, it's hard to put the pieces together with factory visual data in order to confirm. John, I've looked into this question you had for your bore being 3.375 and came across something that may interest you (more questions ?). 12 different piston sizes for engines above 7000 ? Can you share more info on the fire truck you used to own? Sorry for getting into the weeds here but this may come into play later. Thanks Ron, that is the confirmation I was looking for. 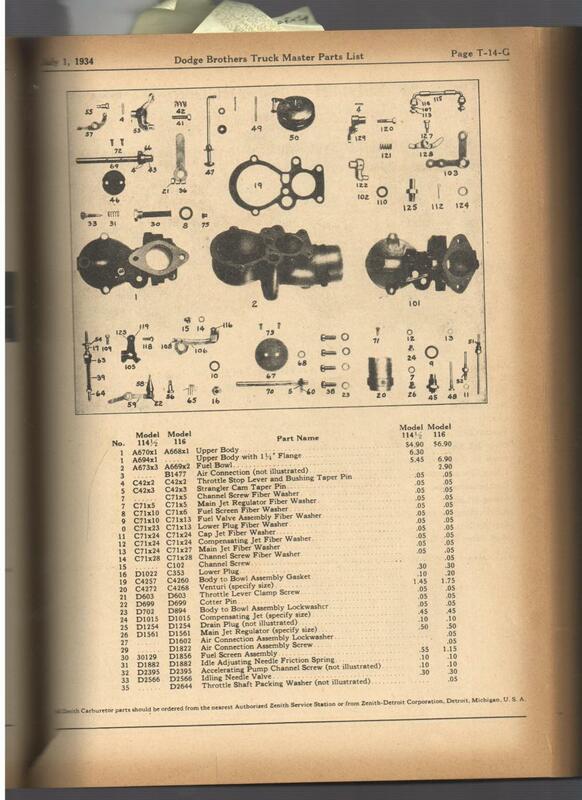 #201646 was the gasket used in the trucks also according to the DB/GB truck parts books I have. 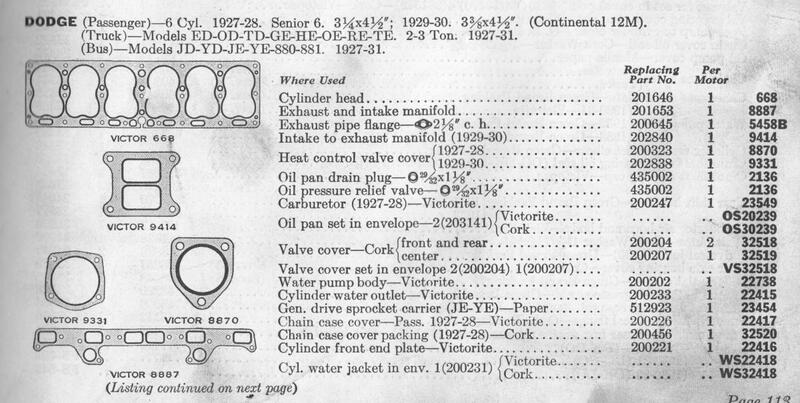 It was from a McCord Gasket Catalog (pic attached) and I was trying to confirm if it may have been used on early Senior cars while researching the Continental Motors connection. This number did not show up for trucks which had me questioning why. Still no idea why it was printed in the McCord catalog... leaving yet more questions for part #200316. I simply do not show that part # in any DB/GB literature that I have.. If someone finds it please let me know what it's for. so here's how I'm going about this process of elimination. Tell me if you think this is a good way to tackle this. My thinking is that other car manufacturers may have used this same Senior type of engine but I could be wrong, especially if it was the exclusive rights according to Dodge and then Chrysler engineers per their design. IF it was used in other trucks or cars (Selden, Hug as examples) then finding that link may shed more light on the topic. "IF" the engine was used solely in Dodge vehicles then that shoots down that theory and avenue of research all together. So you're saying it's a dead end ? Should I even be attempting this Continental/Dodge Brothers connection or is it futile in your view ? I don't like to give up on a trail until I find the details and proof of why I should give it up. What is your proof that there was no assigned number for this Continental made engine designed by Dodge Brothers/Chrysler ? After all, many car makers had the designs that Continental ended up building for them, but all the other car makers did have Continental labels on them even though it wasn't a Continental design. So why leave out just the Dodge engine ? I'm providing a scan taking from an article in Special Interest Autos dated Jan/Feb 1977 labeled "A Brief History of the Continental Engine Company" by G. Marshall Naul and Jan P. Norbye. When you see the list, you can understand why I think the Dodge Senior should have a Continental number labeled to it. Why would ALL the other makers have one and not Dodge ? Strange don't you think ? 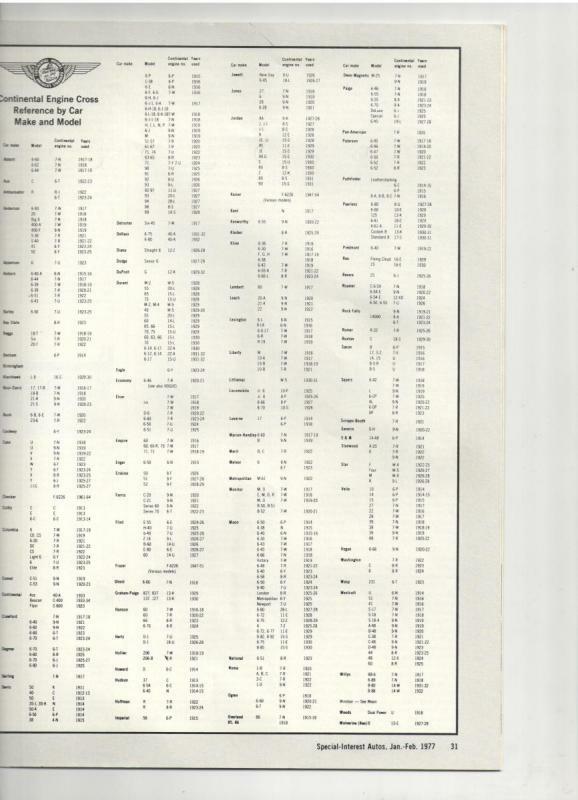 Furthermore, you'll notice that no 12M or 14M is listed on this list of makers that used Continental engines, so I believe according to everything I've found so far and along with the article by John Bittence in the DBC the Senior engine was originally labeled the 12M by Continental ( and was "possibly" changed to 14M at the point of 8/23/1927 engine # IS 21,277 in theory, but did not get the label 2251 or 14M till later in the year according to article showing there were further changes coming). This is proof that the 12M and 14M were the only two possibilities for this Senior engine label. Kings Master Catalog No. 56 dated from 1918-1936 shows that 12M and 14M were the only two possible engines that would have been used in the Senior and trucks. If you compare all the other vehicles mentioned and follow the parts #'s trail you'll see this to be proven out. Edit: Harry posted the previous post showing the 12M at the same exact time I was posting this. To me that is further confirmation they did label the Dodge engine and to me that is proof that it was labeled 12M originally. THANK YOU SO MUCH Harry ! So now, finding a Continental Motors piece of literature (catalogs, manuals, brochures, advertising) showing this 12M would be the last bit of visual confirmation we need to finalize this fact in comparison to the 2249 photos above. Good stuff....very good..
Harry, do you have anything at all that shows this Senior engine being labeled 14M anywhere ? As I said, my theory is that 12M was the original 3 1/4" bore senior then when they made the change the label changed to 14M for the 3 3/8" bore. I'm trying to prove or disprove this theory. Thanks again for everyone's help. This is a huge find.